Wow! It is amazing how very quickly time zips by, one minute it is January, and in the blink of an eye we are in the middle of May already. Crazy the pace of life we live…! But even though life has been busy, the weather is winding down into Winter which means colder weather, hibernatory patterns emerging and reading more (my favourite part). I have to share one book that I have recently read and to me, it was a soul book. It was excellent. The writing was glorious, the story was sad but yet, uplifting, the relationships that were portrayed were realistic and all round good reading. What is it, you are screeching at me by now?? 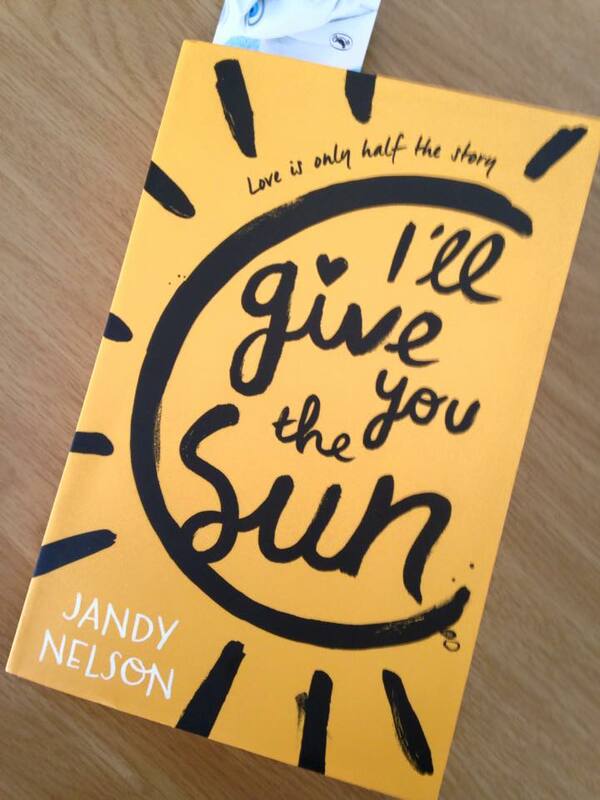 I’ll give you the sun by Jandy Nelson, was brilliant. A YA novel, but yet so much more than that. Focusing on the relationship between two competitive twins Jude and Noah, and how through a series of misunderstandings and family tragedy their relationship breaks down. But it is the putting back together again, how they are two halves of a whole and yet two wholes within their twinship which I enjoyed exploring. The characters are real and you can almost feel the emotion in the pages as you read. I have to admit to a few tear drops here and there. It was a very Real book and the writing captures moments and memories and miscommunications and love and being true to oneself in such a way that you can REMEMBER these feelings (as an adult). As a young adult, I am sure that the book also sparks the emotions. Jandy Nelson is an American author and this book was published in 2014.